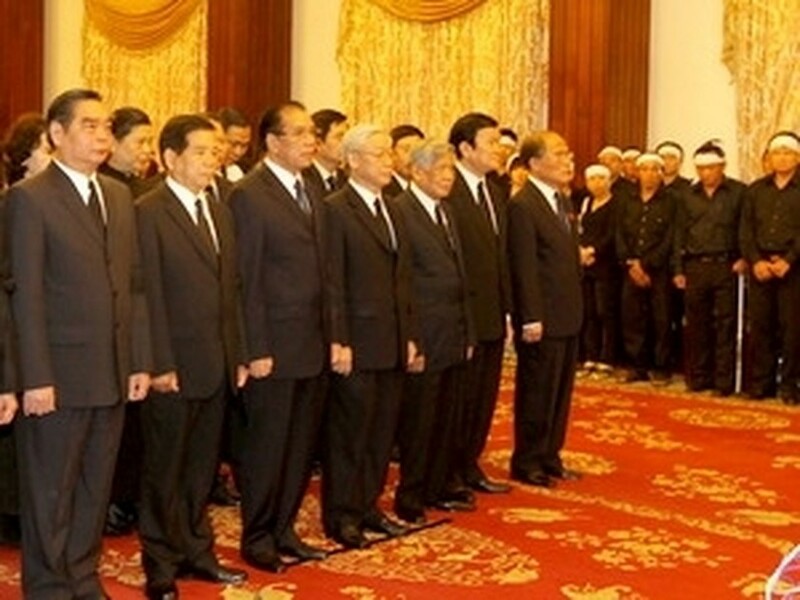 Leaders of the Party, the State, the National Assembly, the Government and the Fatherland Front paid tribute to Vo Chi Cong, former President of the State Council, at the Thong Nhat Hall in Ho Chi Minh City on Sept. 10. At the same time as the ceremony in Ho Chi Minh City on Sept. 10 and 11, ceremonies to commemorate Vo Chi Cong are also held at the International Convention Centre in Hanoi and in Quang Nam province, his homeland. A solemn commemoration ceremony will be held on the early morning of Sept. 12 at the Thong Nhat Hall. Vo Chi Cong (real name Vo Toan), who was also former Chairman of the National Defence Council and former Deputy Prime Minister, died on Sept. 8 at the age of 99. 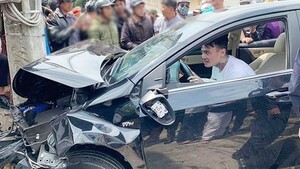 Vo Chi Cong, born in Tam Xuan commune, Tam Ky district, Quang Nam-Da Nang province (now Quang Nam province) died of old age and a serious illness at Thong Nhat hospital in Ho Chi Minh City. Vo Chi Cong was also a former Politburo member, former Party Central Committee Secretary, former advisor to the Party Central Committee and a deputy to the National Assembly, 6th, 7th and 8th tenures. He was conferred with the Golden Star Order by the Party and State and the 70-year Party badge and many noble orders and medals./.